I tried soaking a few whites in a mixture of hot water and vinegar. I had a few of my husband's undershirts, a pair of ankle socks, and a sports bra in a bucket. After a couple of hours I checked on the items and noticed pink stains on my sports bra. Any ideas? Btw, we have city water, a water softener, and I have had my water tested. 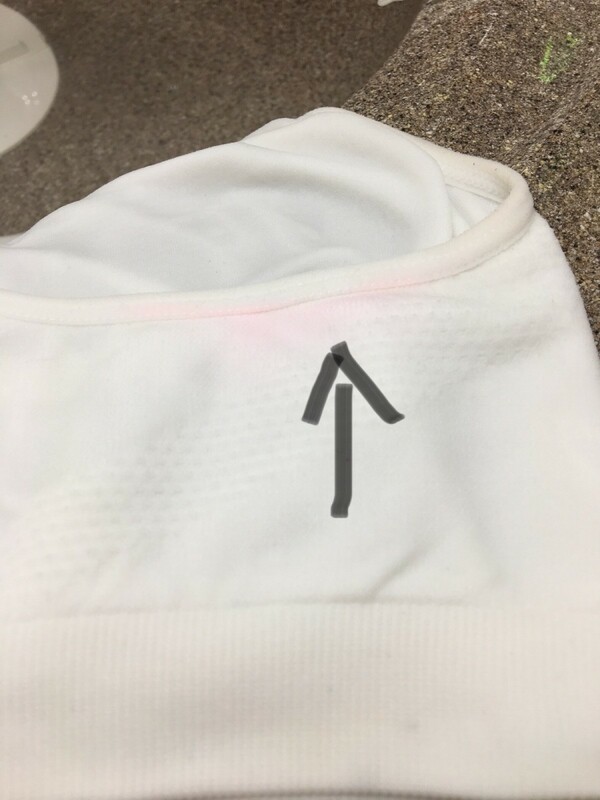 Was there red on a tag that could have bled on to bra? Try wetting it and letting it dry in the sun. If that doesn't work, try baking soda and regular simple Dawn and make a paste. Leave it sit overnight and rinse in cold water. Let it line dry in the sun. Hopefully this will come out. Keep me posted on how it works for you!! Good luck! You must have had an item that was not colorfast that bled on the clothing. Sounds like several different material types so it is possible the socks (they would be more knit type) may have had unseen color or either as others suggested a tag that had color (even if you could not see it). Keeping wet in the sun should take that dye run out so you may not need another soap product. Lay garment out on a table, keep wet and let the sun draw out the pink. Thank you. I think you nailed it with the tag. I think the shirts were tag free but there was a small label in red.